Tread Depth - Do I need new tyres? What is the law? The legal minimum tread depth for cars is 1.6mm in a continuous band around the centre three quarters of the tyre. Should you be found with tyres below the absolute minimum, then you receive a maximum of 3 points on your license and up to a £2,500 fine per tyre. The easiest way to check your tyre is with the 20p test. Take a 20 pence coin and place it in the tread of the tyre. If you are unable to see the outer rim around the edge of the the coin, then chances are it is above 3mm. If you are able to see the rim, it is likely to be below 3mm and needs to be checked by a professional. You will find the correct tyre size by looking on the sidewall of your tyre. We can accept a variety of payments, with our preferred being – Cash, Visa, Maestro and Mastercard. 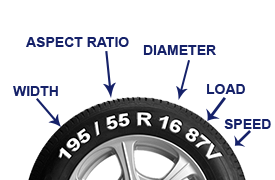 Leisure Tyres will still accept cheques on the basis that we attend your vehicle at your current registered home address. Please give Leisure Tyres a call on 07742 352743. Should we not have your tyres have your tyres in stock then new tyres can be ordered for you. If ordering new tyres the same day is sometimes possible or the next working day. We cover Halifax, Brighouse, Huddersfield and Bradford. Please see our coverage page for a detailed list of areas which our mobile tyre service covers.